A living trust is an ingenious way to keep your real property out of probate and transfer it cleanly to your beneficiaries. However, this method only works if the trust is “funded” by the transfer of your estate’s property into the trust. Failure to fund a trust will cause it to fail, and your property will end up having to go through probate. If the trust is funded, though, you’ll be fine. But what about less conventional forms of property, such as oil, gas, and mineral rights? These interests in real estate can be placed in a trust, too, but the exact process that must be followed depends on the nature of your rights. A lawyer, like Adam Leitman Bailey, can help you make sure that you set up and fund your trust properly, but the topics below can give you a good basic understanding. What Kind of Mineral Rights do You Own? The first thing you need to figure out is the nature of the mineral rights that you own. For example, do you own the rights in the actual real estate – do you own the land the oil, gas, or minerals come from? Alternatively, do you own a right to royalties based on the proceeds of any minerals collected? The type of mineral rights you own will determine if and how you can place them in a trust. How do You Transfer Mineral Rights to Your Trust? If you actually own the real estate holding the valuable resource, then the process is actually fairly easy. All you have to do is have your lawyer draft a new deed by which ownership in the land is transferred from you to your trust. Your lawyer will also need to make sure that the new deed is recorded with the county clerk after it’s executed. If, on the other hand, you own a right to resource deposits separate from the land itself, or if you own a right to royalties from the proceeds of the resources’ sale, then you have to assign these rights to your trust. This process may require contacting the company that issues your royalty payments to ask about their process and rules for assigning rights. You shouldn’t try to figure any of this out on your own. If you make a mistake, it could cause your trust to fail and your property to be subjected to probate. This will end up defeating your wishes and costing your beneficiaries. Therefore, it is crucial that you contact an experienced estate-planning lawyer to help you determine the type of mineral rights that you own, and what specific processes are required to transfer those rights to your trust so that it is properly funded and functions to transfer your property to your loved ones as intended. 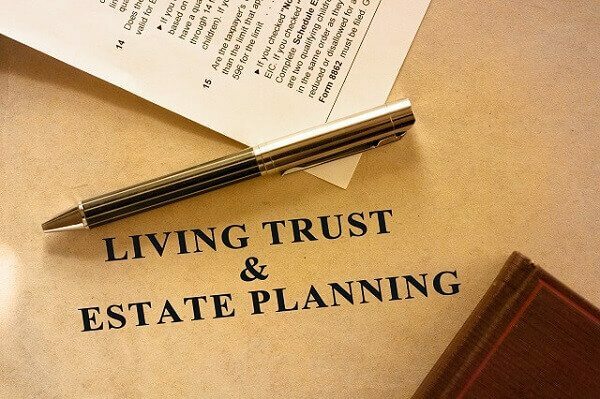 If, for whatever reason a trust isn’t the right estate planning method for you, then an experienced estate-planning lawyer will be able to determine this, too, and stop you from making a costly mistake.